Reading The True Memoirs of Little K is like spending time with a garrulous, name-dropping old relative full of opinions about everyone and everything and determined to air them all. 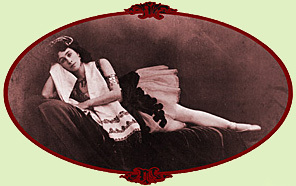 Mathilde Kschessinska, nicknamed "Little K," was the Russian Imperial Ballet's dimunutive and demanding prima ballerina assoluta during the reign of Russia's last tsar. The men of the ruling Romanov family often chose mistresses from among the ballerinas. When Tsar Nicholas succumbed to Mathilde's energetic campaign for his heart and other portions of his anatomy, her fortune was made - for a time. A wealth - a barrage, even - of meticulously researched detail about Imperial Russia spills onto the pages, shaping the novel's theme. Tidbits about Russia's distant past, Mathilde's childhood and her days as a dancer jumble together in a merry, sometimes mind-numbing, hodge-podge. Mathilde tells of the history of Russia's capital, Petersburg, familiarly called Peter, built in 1703 by laborers who "dug the foundations for it with their bare hands, carried off the dirt in their shirt fronts." On the next page, she veers into a description of court balls "lit by ten thousand beeswax candles and garnished with pruned fruit trees in enormous pots and vases thick with pink roses, Parma violets, and white orchids sent north by train in heated cars from the warm Crimea." She revels in memories of dancing in wigs and corsets, wearing diamonds as big as walnuts "whether I played a peasant girl or a princess."